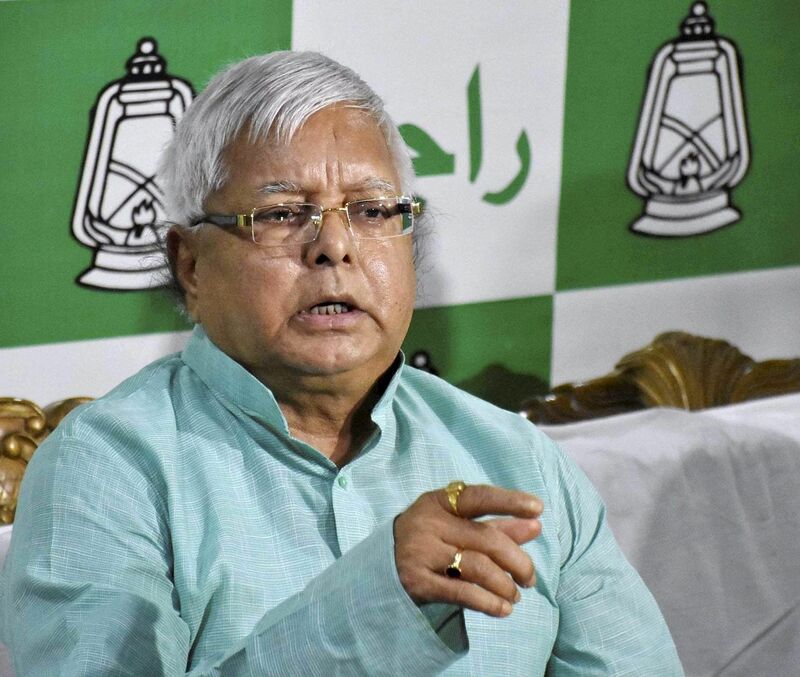 Patna, Nov 13: RJD chief Lalu Prasad on Monday lashed out at Bihar Chief Minister Nitish Kumar for calling his son and Leader of Opposition Tejashwi Yadav a "child". "Tejashwi Yadav bachcha nahi hai, Nitish Kumar ka chachha hai," Lalu Prasad said in Hindi in reply to Nitish Kumar's statement. The former Bihar Chief Minister said: "Nitish Kumar will soon realise what Tejashwi Yadav is and what his strength is. He will realise the existence of Tejashwi Yadav on ground in the 2020 Bihar Assembly polls." In reply to Nitish Kumar's comments that the RJD was the party of a single family and Lalu Prasad had damaged the political career of Tejashwi Yadav, he said: "Nitish Kumar is without a family, so how can he understand the meaning of a family?" Tejashwi Yadav, 28, former Deputy Chief Minister, is the younger son of Lalu Prasad and former Chief Minister Rabri Devi. Last week Lalu Prasad announced that Tejashwi Yadav would lead the RJD in the next Assembly polls and he would also be the RJD's Chief Ministerial candidate.